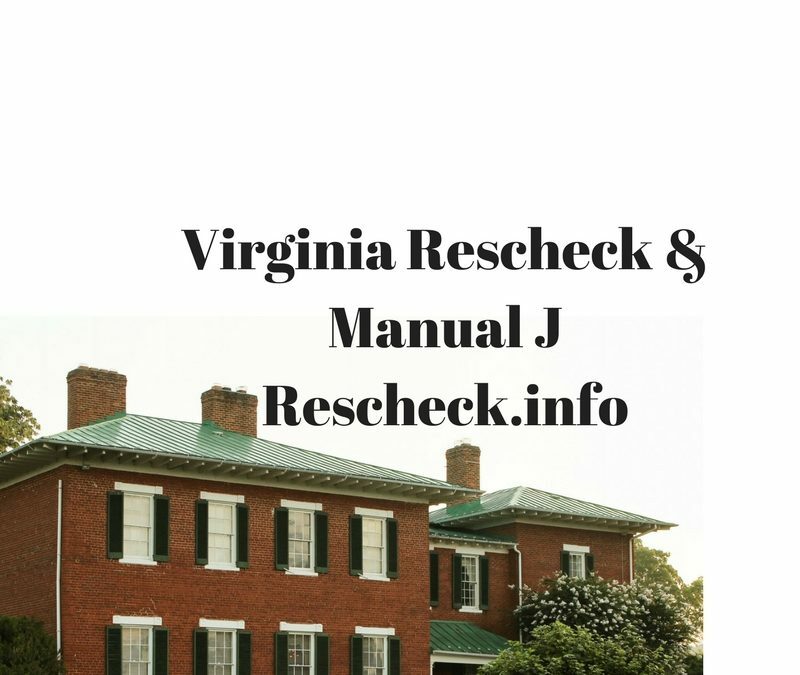 Virginia Rescheck Report and Manual J | $79 RESchecks & Manual Js. $79 Any Plan. Any State. A state that we see plenty of interest in Reschecks and Manual J’s is the VIrginia. They have many different climate zones that range from coastal in the east, mountainous in the west, to flatter areas in middle Virginia. Each area comes with unique requirements when it comes to new construction, additions, or alterations and matching your project with the correct amount of energy efficiency. Virginia building officials are increasingly using the Rescheck and Manual J as their go to energy reports. This makes alot of sense because it makes everyone who is involved with the project have an easier time. The architect knows what to draw, the customer knows what to expect on future energy bills, the contractor knows what to install, and the building inspector knows that all the components meet code and satisfy the needs of the local climate zone. This makes Virginia construction projects created while using Reschecks and Manual Js much easier and more cost efficient than they were in the past. If you are getting started on a new construction project in Virginia and need a Rescheck or Manual J all you need to do is email us a set of your blueprints. We will print off a full size set of plans, create your REScheck or Manual J, and send you a project recap and invoice once it is complete. We only charge $79 for one report or $129 if you need both. Our time needed to create the reports is about 4-6 hours. Thanks again for reading the Reschexpert blog.